Located in a secluded area of Troon North, Pinnacle Vista is a small, gated community with only 6 custom homes. 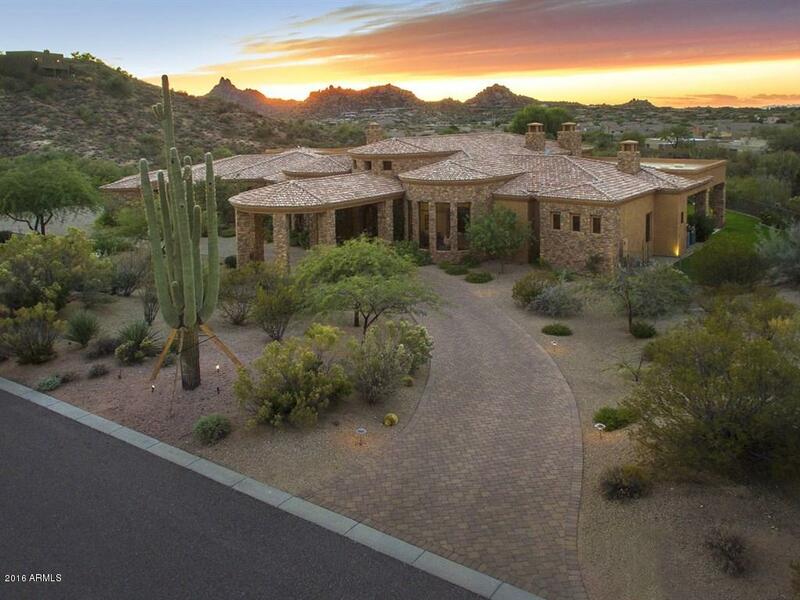 These homes all sit on 3-5 acre lots in this quiet neighborhood in the high Sonoran desert. There is plenty of privacy in addition to the spectacular views of Pinnacle Peak and city lights. If golf is your passion there are two 18-hole courses at Troon North. The Monument Course and the Pinnacle Course both are challenging courses that wind there way around the base of the community. The 37,000 square foot Troon Golf Club offers a bar and grill, lockers, and banquet facilities for up to 200 people.